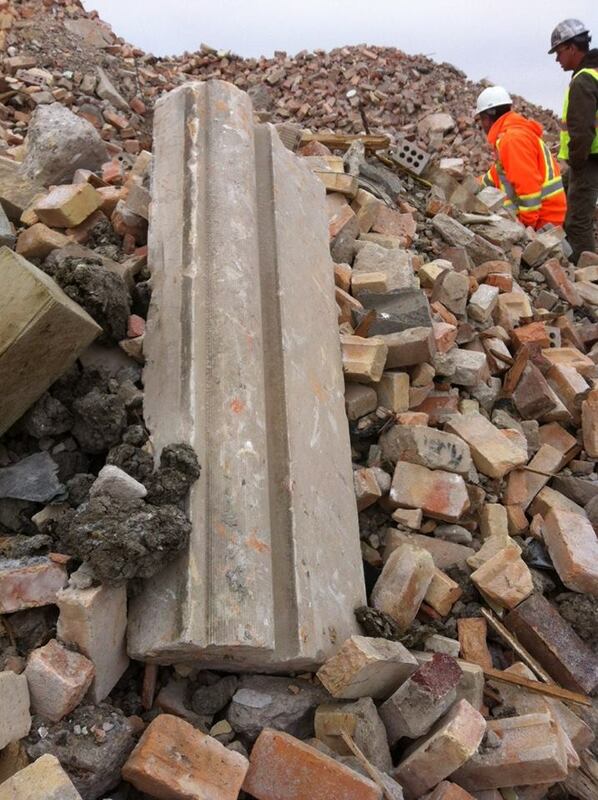 Hand-carved 102-year-old Bedford Limestone from Connaught School. Help preserve historic Connaught School’s legacy. 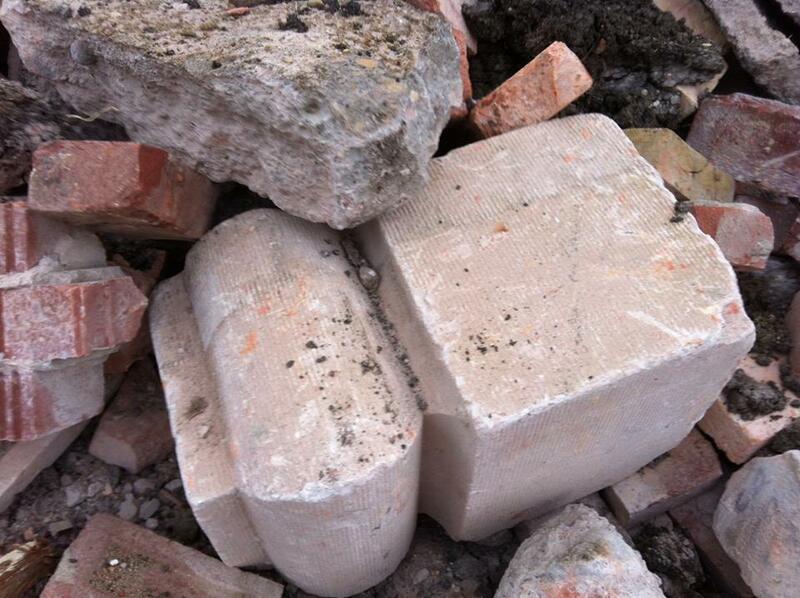 Lend a hand to reclaim original brick and hand-carved limestone pieces from the city landfill. City workers have generously offered their time to facilitate access to the brick piles. If you join in, please read the instructions that follow carefully. Come to the main landfill gate and ask for directions to the office. Adults and sturdy older youth only, please. It is an active work site with large trucks coming and going, so not a safe place for children. RSVP by reply to saveourconnaught@gmail.com, and let us know if you need a vest supplied. Anyone with foreman experience or special skills, please self-identify in your RSVP. – Meet at the office parking lot to sign a sign-in sheet and receive safety instructions. – We will be escorted to the piles by city staff. – Cliff Kobelsky of Frontier Masonry will provide instruction on cleaning and palleting the bricks. He will also bring the tools we need. – We will stack as many bricks as possible, until we decide to quit. – Complementary post-picking pizza provided courtesy of Save Our Connaught. – Contact ph# on the weekend: 306-539-6608. This project was initiated by the Cathedral Area Community Association and the Cathedral Village Business Association, with support from Frontier Masonry, Save Our Connaught members, and City of Regina employees. The concept is to salvage as many pieces as possible for use in community projects, with any leftovers available for Cathedral folks to take for their homes and gardens. There are some beautiful limestone and terrazzo pieces on the pile, as well as many intact red bricks that can be put to a variety of uses. Let’s get our imaginations working! One of several massive landfill debris piles from the school demolition.